LOVE CALLS touching the YES to life within us all Allow Kimberly to share her story, her hero’s journey, in the privacy of your heart and you will see that this relationship is one that calls us all, at some level to live to our highest potential. 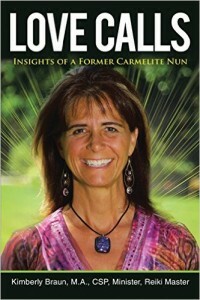 Brian Luke Seaward, Ph.D. Quiet Mind, Fearless Heart Kimberly’s quest to pursue a connection with the divine is awe-inspiring. 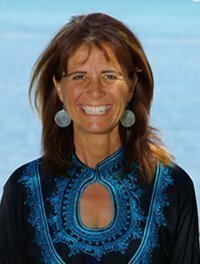 As a woman seeking spiritual connection, too, I felt while I was reading that I was her friend and confidant … Kimberly heard the call of the mystic, and as all seem to do, eventually, left the solitary life to emerge as a missionary to share her love for the divine and what she knows as the power of the soul. Sarah McLean, Soul-Centered: Transform Your Life in 8 Weeks with Meditation Poignant, powerful and poetic, this wonderful book by Kimberly Braun is unique in the world of spirituality and personal growth and offers important insights and messages for all. -Jonathan Ellerby, Ph.D., Return to the Sacred Buy it here.